The bestselling cops and wizards series from chart-topping author (and comics writer) Ben Aaronovitch continues, with its most revelatory volume yet! Uncover the secret World War II history of Peter Grant's mentor, the mysterious Nightingale! October, 1957. A serial killer terrorising the women of Cumbria has moved to the streets of London, with Constable Angus Strallen hot on his heels. But this murderer has special abilities, and Strallen soon realises he needs the help of an old friend from the front lines who can match this madman's power - London's own wizarding police officer, Thomas Nightingale. As the pair move in closer, it quickly becomes clear that murder is not this man's only intent. Tying directly into the continuity of the Rivers of London novels and revealing secrets about Nightingale's past that readers have long-hoped to find out! 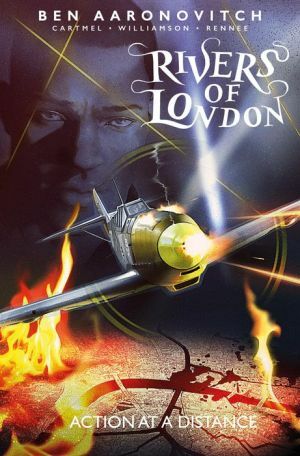 Collects Rivers of London: Action at a Distance #1-4.